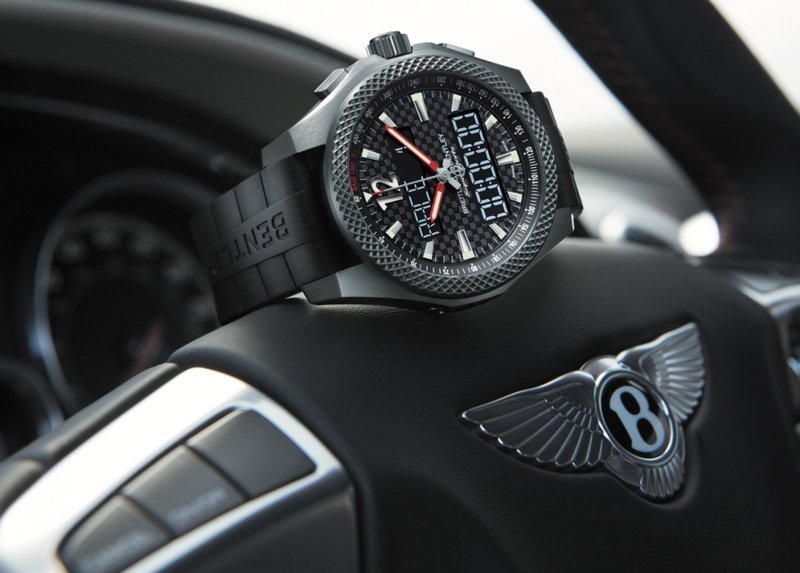 Over the years, Breitling’s partnership with Bentley has produced some of the finest automotive-inspired timepieces around. It has also seen new levels of extravagance brought to Bentley’s options list, namely in the shape of the £150,000 Tourbillion clock available in the Bentayga SUV. While a price for the new Breitling for Bentley Supersports B55 chronograph has yet to be announced, we’d wager that it’s a fair way shy of that remarkable figure (though it’s still unlikely to be classed as ‘affordable to the masses’). Despite this, the new watch – inspired by the new Bentley Continental Supersports, the fastest Continetal to ever have rolled out of Crewe – isn’t short of innovative features. Housed in a 46mm titanium case, the movement for this unusual horological masterpiece is electronic rather than automatic, allowing Breitling to add a number of performance-inspired features to the Supersports B55 timepiece. Using a new bespoke app, the ‘Chrono Rally’ mode allows you to time up to 30 rally stages, while the ‘Chrono Race’ mode not only records split times but can also calculate your average lap speed for ultimate bragging points at the bar, with all the date transmitted to your smartphone to review at your leisure. 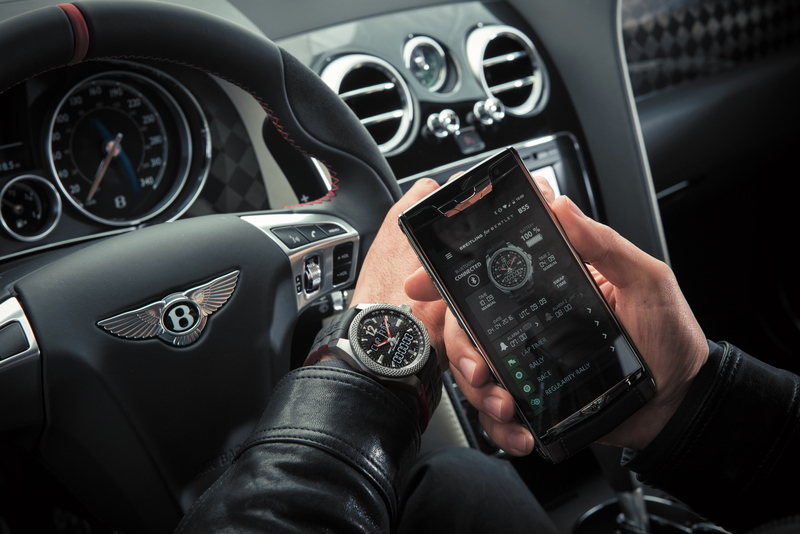 The carbon fibre dial features two backlit LCD screens for relaying some of this data in realtime while the rubber ‘TwinPro’ strap is embossed with the Bentley name, just in case your forgot which car you’re meant to be driving when wearing your Breitling Supersports B55.